VickyLeaks is a project that tends to interdisciplinarity, searching its own performing language, basing her work on new technologies. Usually works with her own experimental compositions, where improvisation and performance have a big weight, breaking the vocal music cliche. Song deconstruction to transmit pure emotion and expression through mediterranean, american and european traditional music. Also works with improvisation and other contemporary composition techniques, trying to find an organic and continuous music flow. Through this project, in which the singer is alone on stage facing the audience, seeks sincere and open to experimentation. The live show is something that is built at the time, starting with a small serving of ground guides for improvisation and expression in its purest and immediate state. VickyLeaks is Victoria Trillo’s alter ego, a personal vocal researching project that in 2017 has composed the original music for the coproduction of Teatro de lo Inestable and Festival 10 Sentidos that has been premiered during the festival (El acto más hermoso del mundo). In 2016 has been selected by OMI International Arts Center (New York) for their resident program and has participated as speaker in the Music Theatre session at IET Valencia Plenary Meeting. 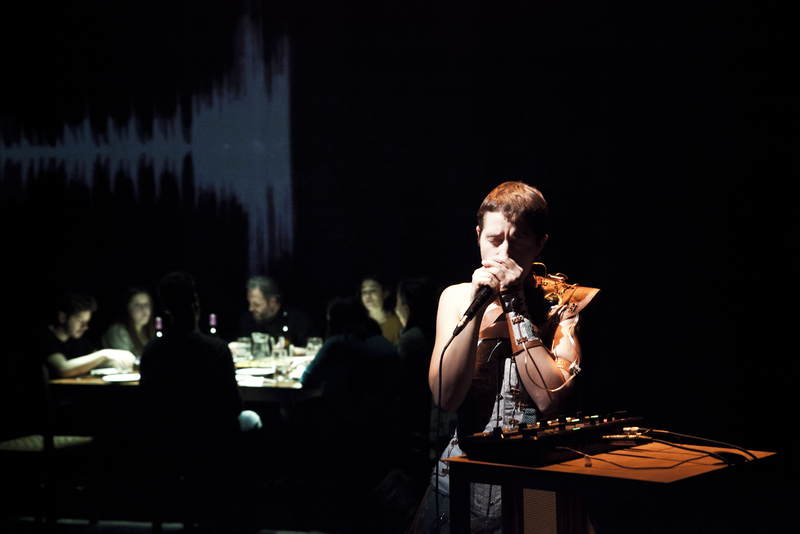 During 2015 has created the live music for the national tour of Teatro de lo Inestable theatre company (La exiliada, la negra, la puta, el caracol y la mística), has participated with a musical performance in Intramurs Festival (Valencia), and has composed the soundscape of the Teatro de lo Inestable coproduction with Generalitat Valenciana (Acosos y derribos s.l.). In 2014, has been selected by Proyecto Inestable as resident for the creation of Homogenneo, a performance where music, theatre and technology melt. From the beginnings, in early 2013, there is quite interest in the project, wins the Música Abierta de la UNIA prize, and performs in contemporary art festivals such as Domèstica, nous espais i nous marcs d’exhibició a propostes creatives (Girona), Intramurs (Valencia) or Festival Internacional de Arte Experimental MEM (Bilbao). When VickyLeaks was only an idea, participated in some events: Bienal del Milenio de Granada in 2011 (with Populus Melkart), and V Festival Internacional de Arte Independiente Incubarte (Valencia, 2012).